We're halfway through December and winter is finally here. That means thick scarfs, red noses and seeing your breath as your leave the house on these frosty mornings. And all I seem to be craving to eat is warmth and spice. That's why my breakfast of the summer is no longer viable - overnight oats are out, but comforting baked porridge is in. This time of year Londonites are filling themselves up with warming porridge before leaving the house in the morning, or picking up a ready-made tub on the way to the office. But by the weekend I’m tired of porridge and honey and I want to experiment with other flavours. 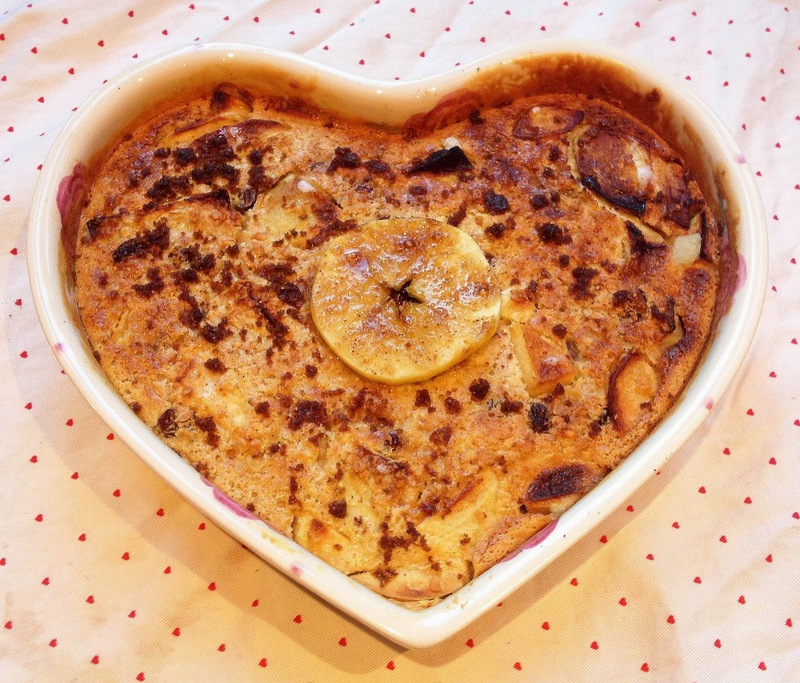 I recently saw people tweeting and instagramming about baked oatmeal and thought it was worth a go and similar to the overnight oats I played around with this summer, but this is a hearty, weekend alternative. Just as easy as overnight oats, but with a little more hands on time, this recipe is best made at the weekend in bulk to carry you through the week. And you can still easily experiment with different flavours that suit you. 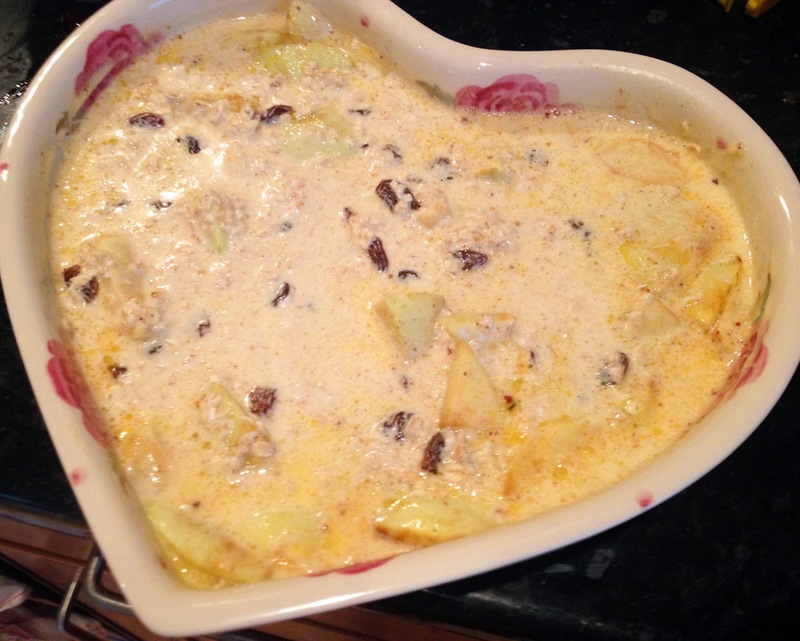 In this recipe I've used winter flavours - apple, cinnamon, nutmeg, sultanas. 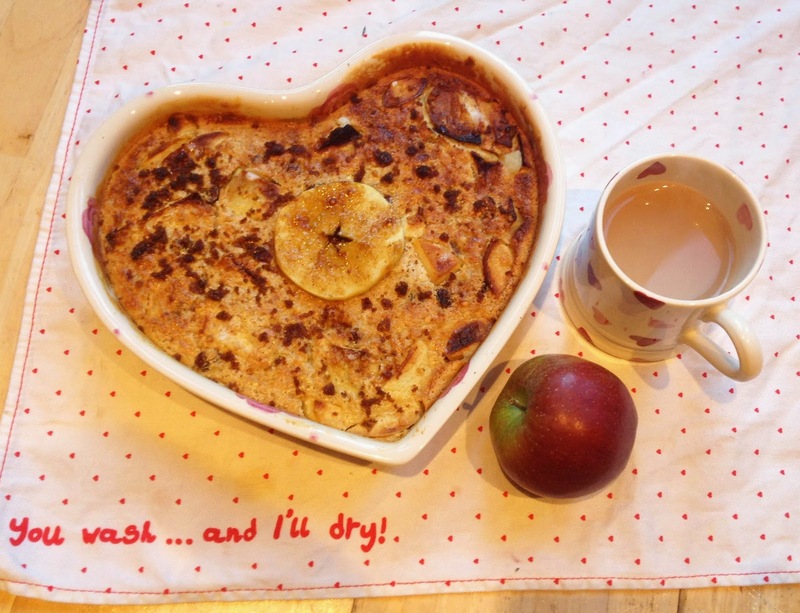 Baked porridge can be as sweet as you like, but for my taste I only added a little brown sugar to the baking apples. 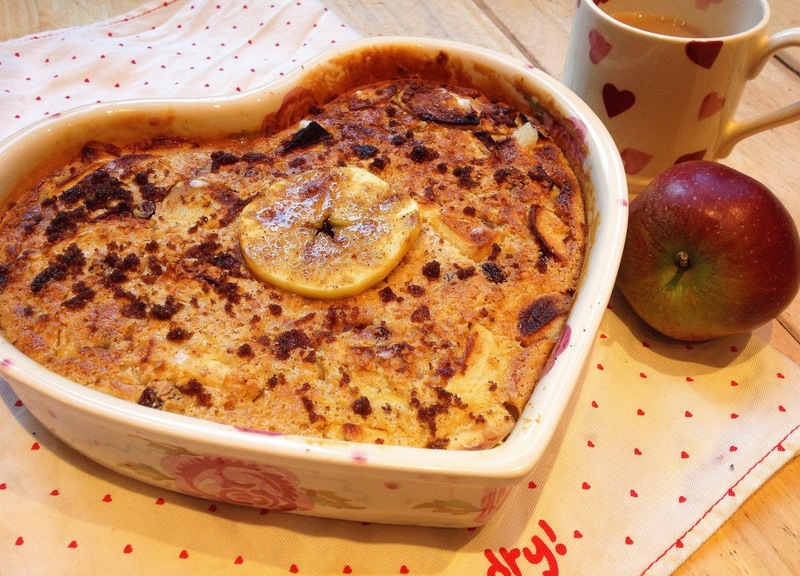 Once it's baked it has the consistency of bread and butter pudding - but not nearly as sweet until you bite into a piece of apple or sultana and experience a burst of sweetness. You can also serve with more sugar at the table which I think that's the best compromise so you don't overdo it in the baking. Once chilled, you can almost cut up the porridge with a knife, and it's delicious cold or warmed up in the microwave. 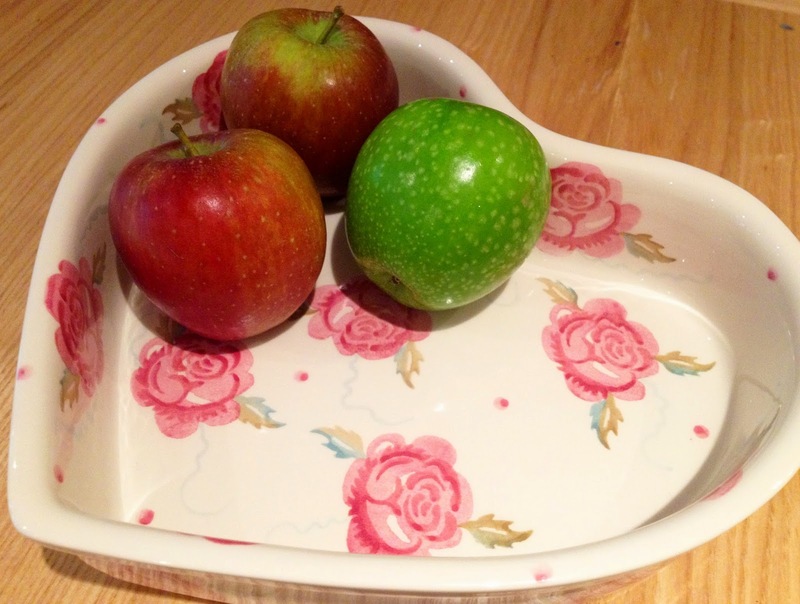 Baking porridge also gave me an excuse to try out my brand new Emma Bridgewater baking dish - I'm a firm believer that all food tastes better served from pretty china, but surely this heart shaped crockery takes it to another level of kitsch? Take two apples - one braeburn and one granny smith to shake it up a bit, and slice into chunks (if you like reserve one slice for decoration at the end). 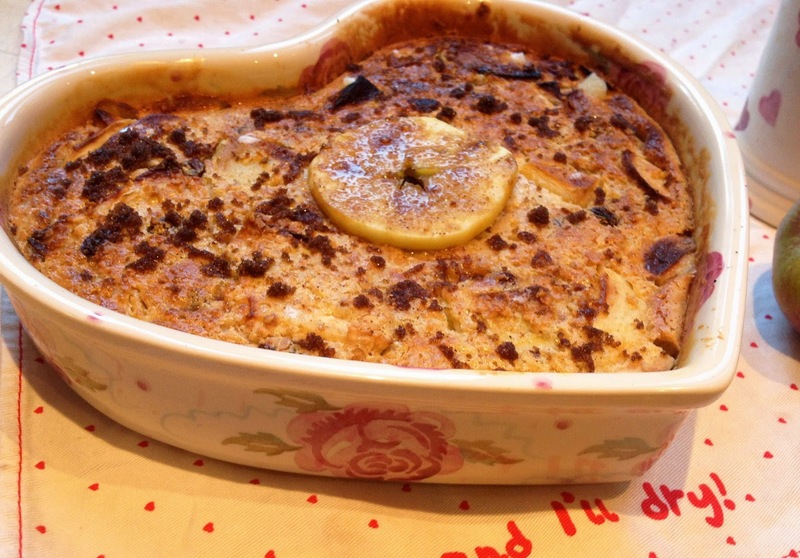 Place into a baking dish with a few knobs of butter and a sprinkling of brown sugar. Bake for 20 minutes. 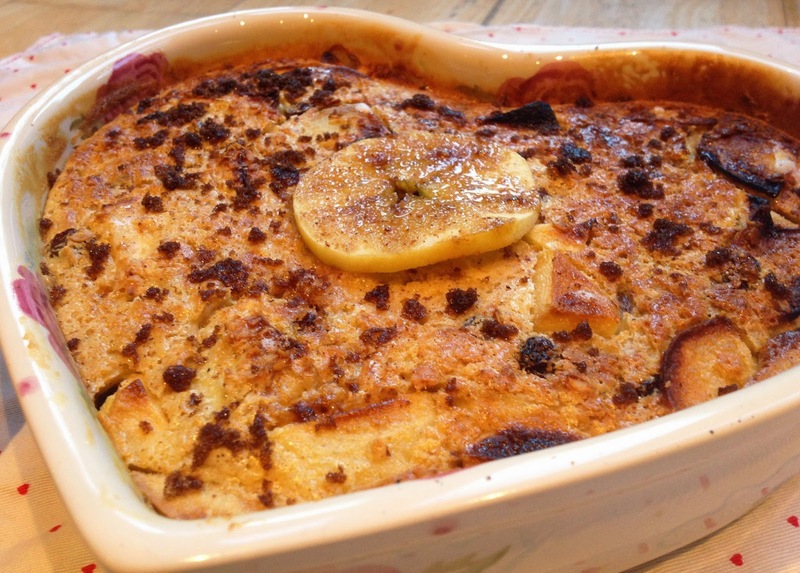 While it's baking whisk together the wet ingredients in a bowl (two eggs, two cups of milk, one cup of double cream) and then stir in two cups of oats, one cup of sultanas, one tsp of cinnamon, one tsp of grated nutmeg, one tsp of baking powder and one tsp of vanilla extract. Note: When I say 'cup' it's a way of using a ratio of ingredients - just use a small mug, it doesn't really matter about exact measurements. Once the apples are ready to come out of the oven, add the liquid oat mix and stir to incorporate. Bake for a further 30-40 minutes. 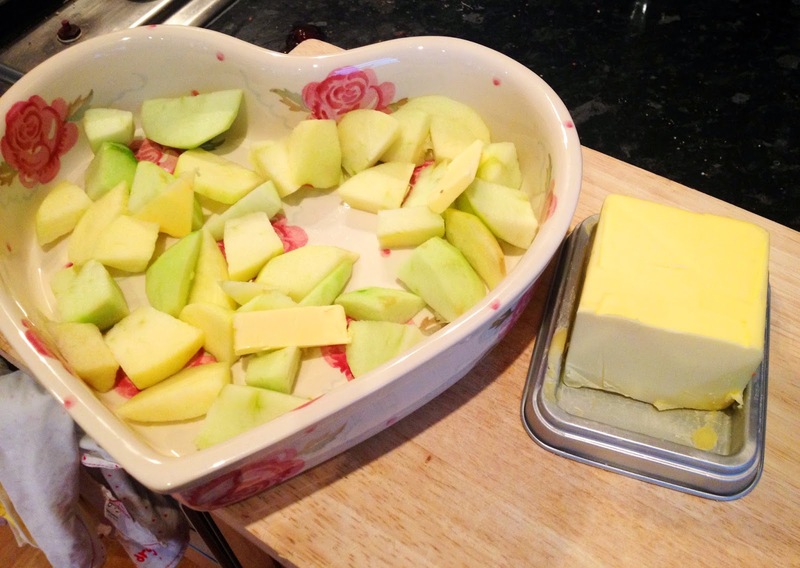 Take out of the oven and lay a slice of apple on the top before sprinkling with a little brown sugar. Then whack under the grill for five minutes to caramalise. Take to the table with extra brown sugar for those who want it a little sweeter and steaming mugs of tea and coffee. 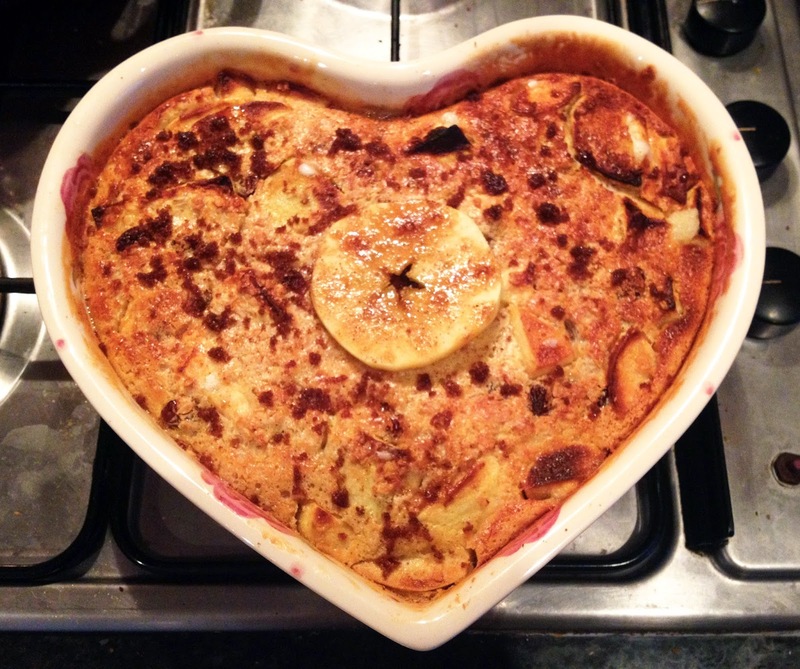 I think of this recipe for baked porridge as a weekend treat, but I'll be experimenting with a healthier version in the next week or so. I'm thinking, banana, almond milk, coyo and goji berries. Watch this space.